Dreams. I had plenty of good ones growing up but I barely remember them. The nights where I would drift off to sleep and play the role of the hero. Find a level of courage the conscious me could never achieve. Save the day. Get the girl. Drive off into the sunset. These worlds would thrill me temporarily and put a smile on my face, but the feeling was fleeting. The good ones didn't resonate. Nightmares. Those stayed with me. Those haven't left. When I was a kid, at an age I can't be certain of but I know it was a single digit, I had a reoccurring nightmare about a clown that would kill one of my classmates every night. I would go to school and one more desk would be empty. The teacher didn't explain why, but we all knew. Eventually I was the only one left. I knew it was coming but no one tried to stop it. I heard something running up the stairs toward my bedroom. The clown came crashing through my door holding a giant knife. I still have the occasional stretch of slumber that was meant for rest and relaxation but instead it is filled with terror. These days the nature of them is different than it was back then, with my family often times the one in peril and myself being helpless to save them, but I wake up and I am alright. My family is alright. I close my eyes and go back to sleep knowing everything will be okay. 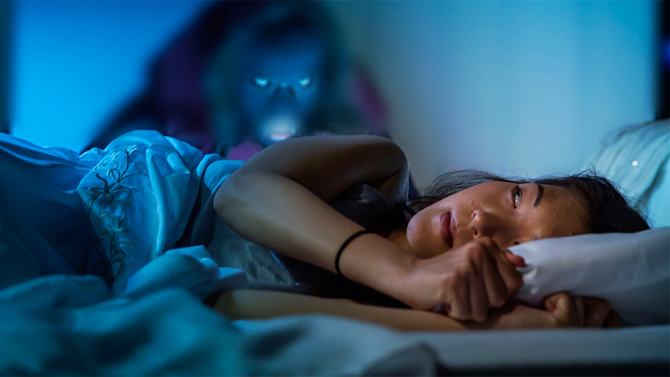 The documentary The Nightmare is about the fascinating and unfortunate reality of people suffering from sleep paralysis, a condition in which a person is temporarily unable to move or speak in any way as they are falling asleep or waking up. Directed by Rodney Ascher, the film is essentially broken up into different actual victims of the phenomenon telling their stories with reenactments which at times can be downright frightening, as one of the more common things to happen to them are hallucinations of shadow men approaching them as they lay helpless. Some of these people dealing with sleep paralysis admit that they believe at some point they will lose their lives to the condition, that they will simply never be able to pull themselves out of the nightmare. When I think of the clown dream I had as a child, it terrifies me, but it isn't a real threat. It never was. My classmates were in their desks the next day and the day after and the day after that. My door never came crashing down. It's only a dream, I continue to remind myself. It can't hurt me. 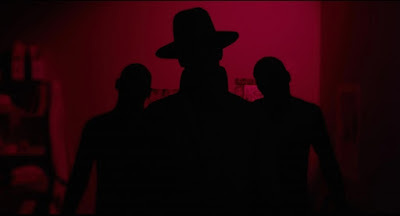 What an awful thought, to truly believe those shadow men could hurt you. To believe you may never wake up. While the subject matter was compelling and extremely interesting, as I was completely unaware of this condition before watching, where The Nightmare fell short for me was in the execution of the material. I wanted some more science behind it or even a deeper discussion into the lack there of. I wanted more knowledge as to why these people are hallucinating, why the shadow men are standing over them watching them. The film is literally nothing but stories and reenactments, nothing else for roughly 90 minutes and eventually the well starts to run dry in terms of interest level when it becomes apparent the tone and flow of the documentary is extremely one note. I felt like this could have played a lot stronger as a 44 minute television special with commercial breaks rather than an entire film at double that length. Still, I won't soon forget about the condition and some of those visions these poor people are dealing with. Truly haunting. Makes me thrilled to only have to face my nightmares.